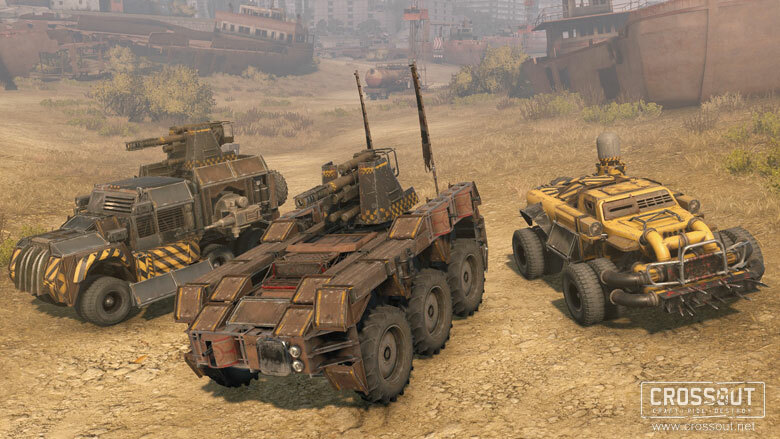 Maybe other players are really enjoying the wheeled vehicles in FL, so power to you. I mean i get ya.. but lets be real, defense on FL is far more cancerous than the wheelie bois. WG" "We want the Crossout audience"
I agree 100%, liked Frontline last year but this time it is not so much fun. Wheelies not only ruined Frontline but also the game a a whole. I have had zero issue with hitting and killing them. The only thing that annoys me about them is the idiot driving who wants to kill the objectives before all the points are capped. It's not a tanks game anymore. Next year aircraft. I love the wheelies. I see a possible trend when you look at what people like to play. Heavies and TDs are not happy. Heavies have a point, TDS I could care less. I think TDs have needed a nerf worse than arty for a long time. I agree with you. There seems to be a few threads going with FL and Clown Cars. They definitely ruined a lot of the fun in the game --- especially when groups of them spend the entire game behind enemy lines when on defense. Add the fact that a LOT of shells just bounce off their tires and that they have an auto-aim feature that is illegal in all other tanks adds up to more player frustration. Next will be auto air strikes that bomb you if you don't move your tank for 10 seconds. Or DRONES. Anything WG can do to get more short term $$$ while sending the game downhill for a good part of the player base. Wargaming would rather fire their entire North America office than admit that Wheeled Vehicles weren't good for the game and remove them. We're stuck with those pieces of sh__ forever I'm afraid. lmbofinally something hated more than arty...LOVE IT! just played the new season last few days, and I can't say I see too much problem with the wheelies there. Of course, I don't camp and get fixated on them whenever they are driving all around. They go away rather quickly. Shoot at other tanks instead. I'm not sure how you all approach FL, but I try not to play anything slow and heavy. I occasionally bring out my Tiger2, but usually only when the battle gets to the city. I also down tiered the gun on it and others. No need for something that can punch above its tier, The ROF and dpm gain seems to be helping me, and they all got enough pen for most of the things I run into. Yup! For all of the whining over Armored Cars, they have no direct impact upon the game. On the flip side, broken premiums and the general inflated state of Russian tank performance is more of an issue than anything else. And, quite frankly, as far as Front Lines is concerned, the biggest issue is *drum roll* map design. last year, those of us that played slower tanks offered up a vent about arty focus from two different zones, as well as stacked air strike, and artillery consumables as broken, and having "ruined FL". the unsympathetic response from the griefer crowd was something like "where'd the arty touch you?" ensk, paris, abbey, ruinberg, mt pass and a whole host of others. ​the flexibility, especially when coordinated has a MAJOR impact on the match. 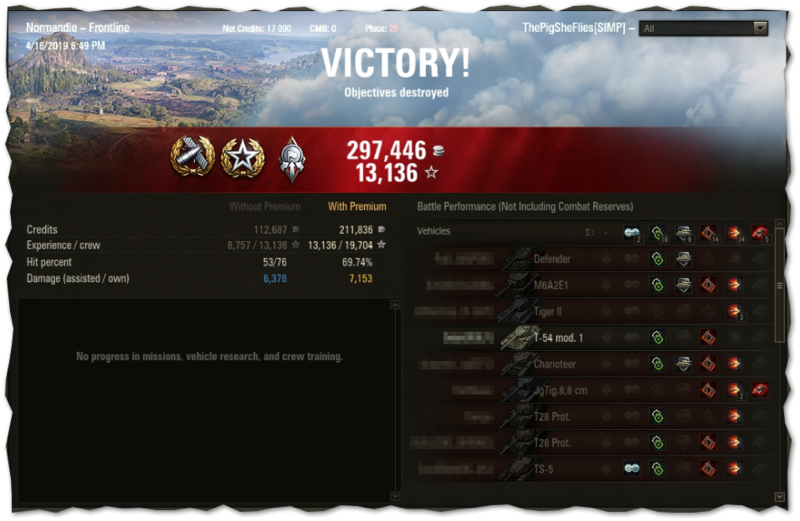 the lion's share of my damage in this was with the EBR, firing HE. I completely agree with this! Last year FL was awesome this year not so much and it is all because of those gocarts. Those stupid gocarts are hard to hunt down even in fast lights that get tracked and killed. Edited by mr_lummox, Apr 17 2019 - 16:28. Yes it was a tank game. TDs and SPGs were built on Tank chassis. What Tank chassis do the clown cars use? Wheelies spot super cancer TDs camping ridges on Defense. Happy. Wheelies> Bad map design for attackers, and punish Arty, Therefore is best for game.